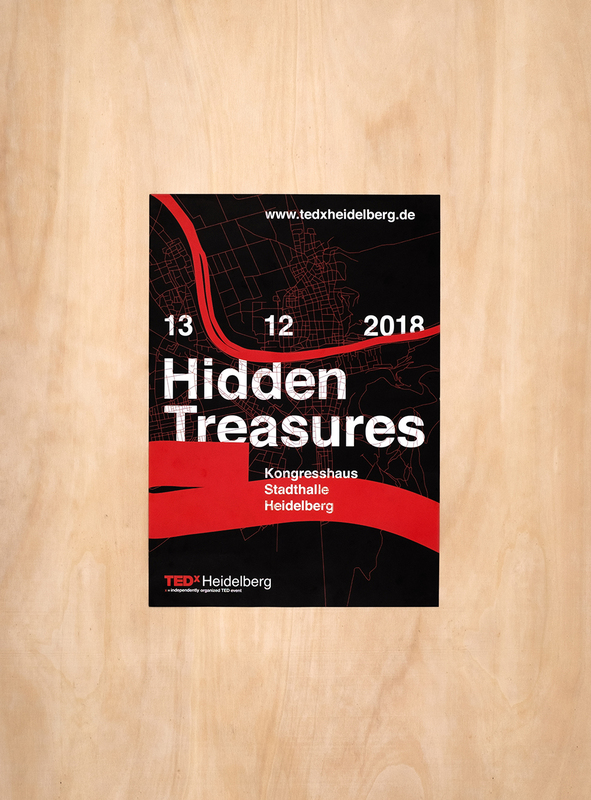 2018´s main event by TEDx Heidelberg was all about Hidden Treasures. 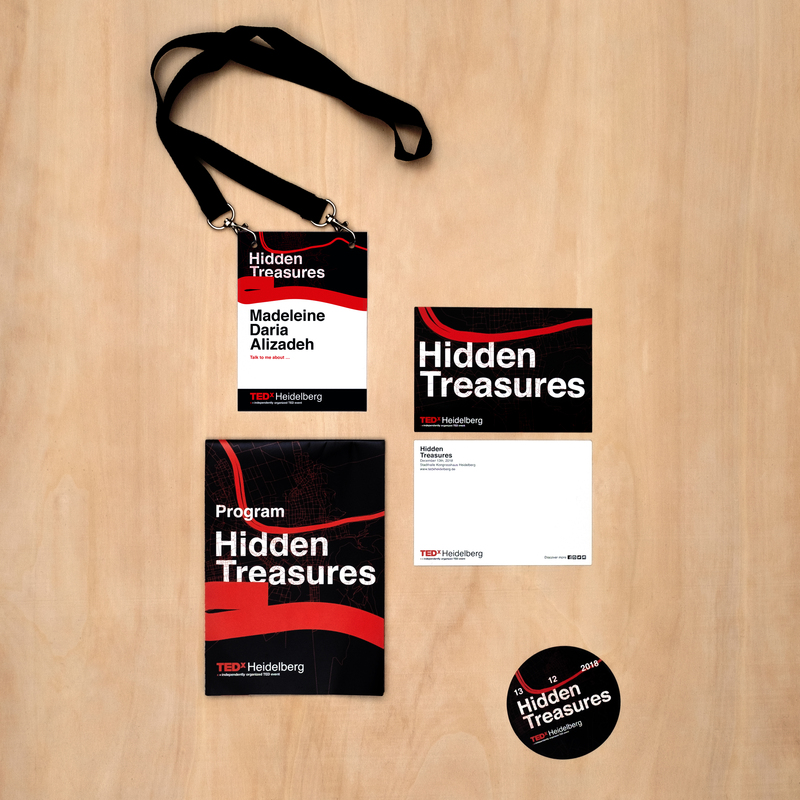 There are two kinds of hidden treasures, the mundane ones which we seem to oversee due to their routine occurrence in our daily lives. 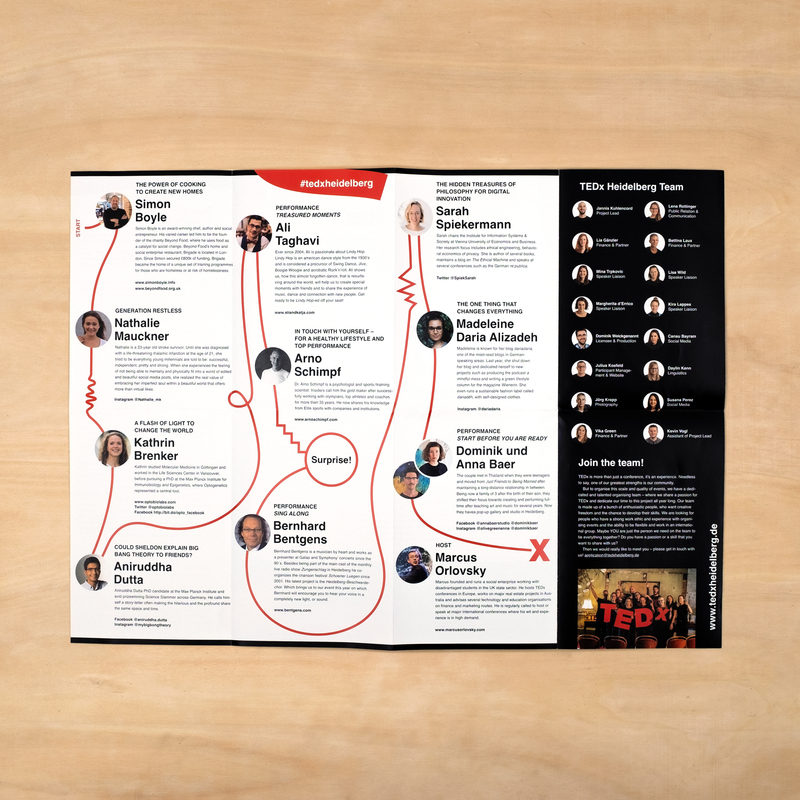 Such is the case with drinkable water. It is a basic necessity and yet unlike our easily accessible tap water there are people who do not have this privilege and place a high value on it. 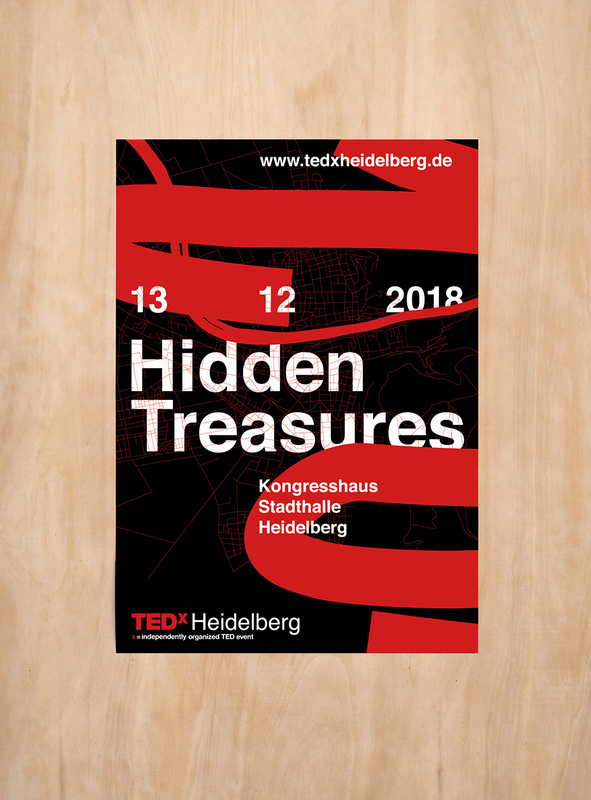 For the overall design concept I tried to take the audience on a visual treasure hunt to Heidelberg. 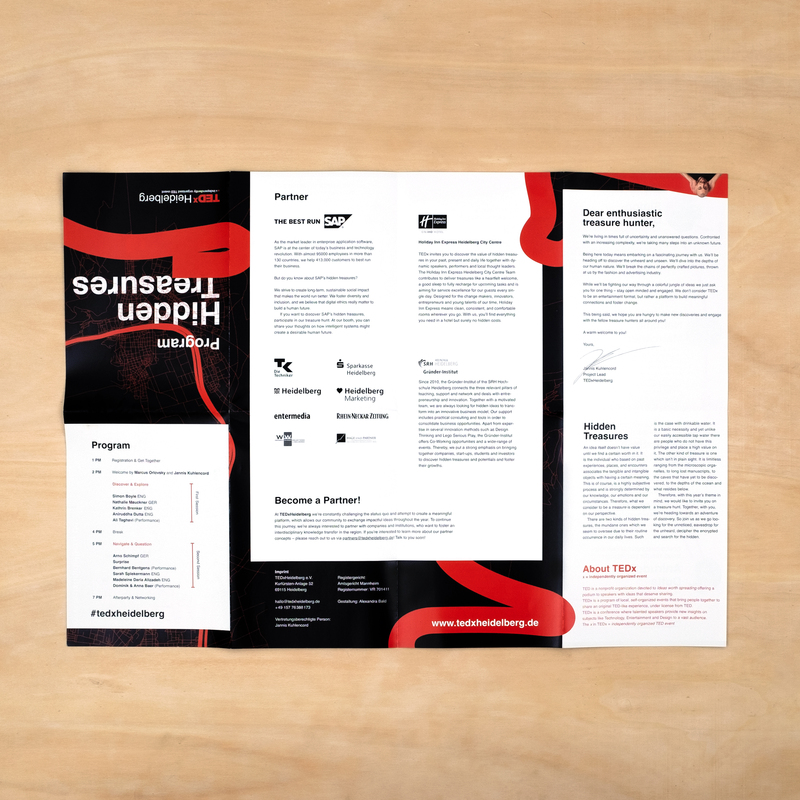 The city’s map with prominent details like the river Neckar is combined with dynamic shapes that hide and highlight the classic TED type at the same time. 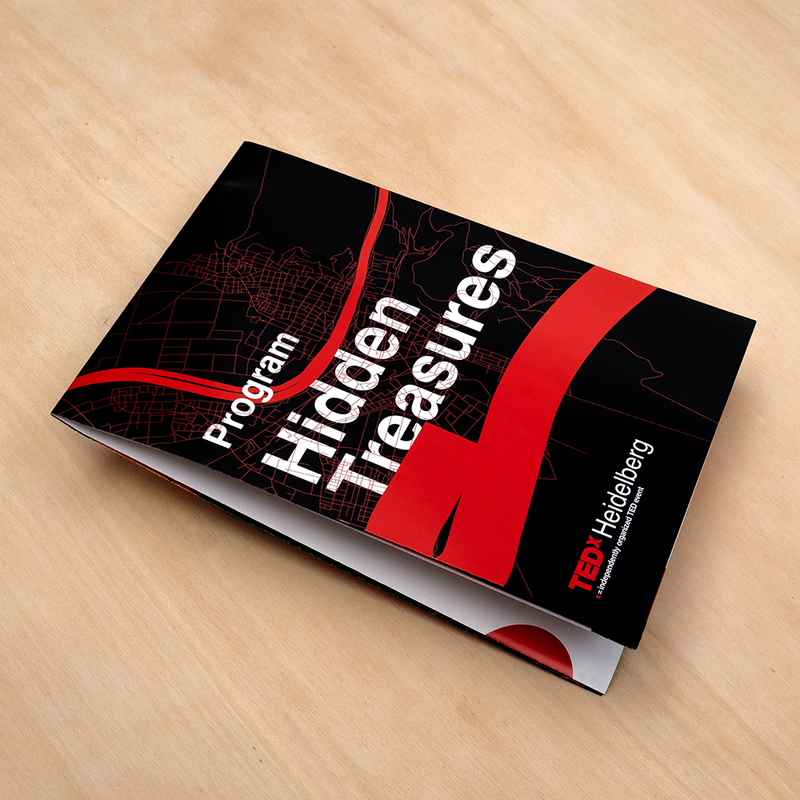 The program is designed like a treasure map – with speakers and performance acts as stations on the hunter’s path.